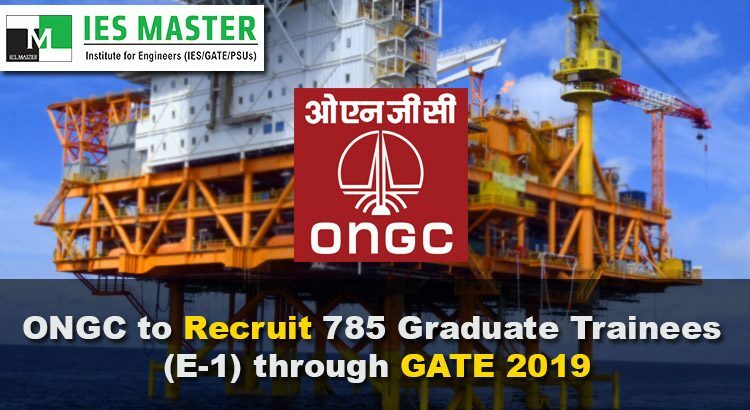 Oil and Natural Gas Corporation Limited (ONGC) has announced its plan to recruit Graduate Trainees (E-1 level) in the Engineering and Geo-Sciences disciplines on the basis of GATE 2019 scores. ONGC is one of India’s most prominent Maharatna PSU companies. AS per the official ONGC notification, the compensatory package at E-1 level in terms of cost to company (CTC) comes to around Rs. 19.48 lacs . ONGC is going to hire young engineering graduates from Civil, Electrical, Mechanical, Petroleum, Electronics & Communication, Instrumentation, Chemical, and Computer Science streams through this recruitment drive. ‘B’ level diploma as defined by Dept. of Electronics, GOI. Engineering graduates who wish to apply for the vacant posts under this recruitment drive of ONGC should be GATE 2019 qualified. 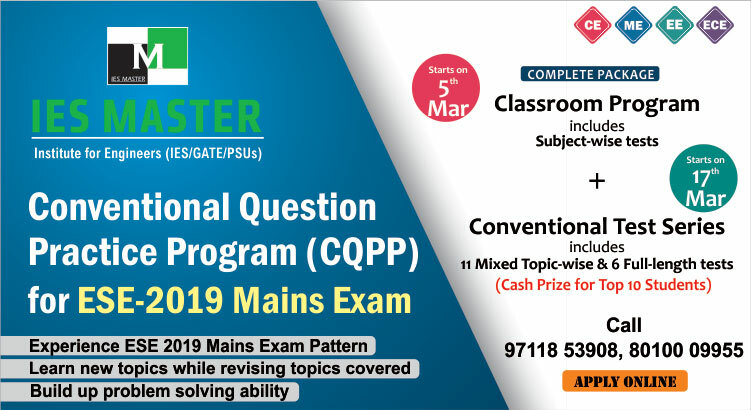 Interested and eligible candidates can submit their online application tentatively in the month of April 2019 once the detailed advertisement is released by ONGC. Keep on checking IES Master GATE 2019 job notifications for further update.